Jellycat Bag - Fancy Swan; Ballet shoes? Check. Crown? Oh yes. Glide into the party with the Fancy Swan Bag. 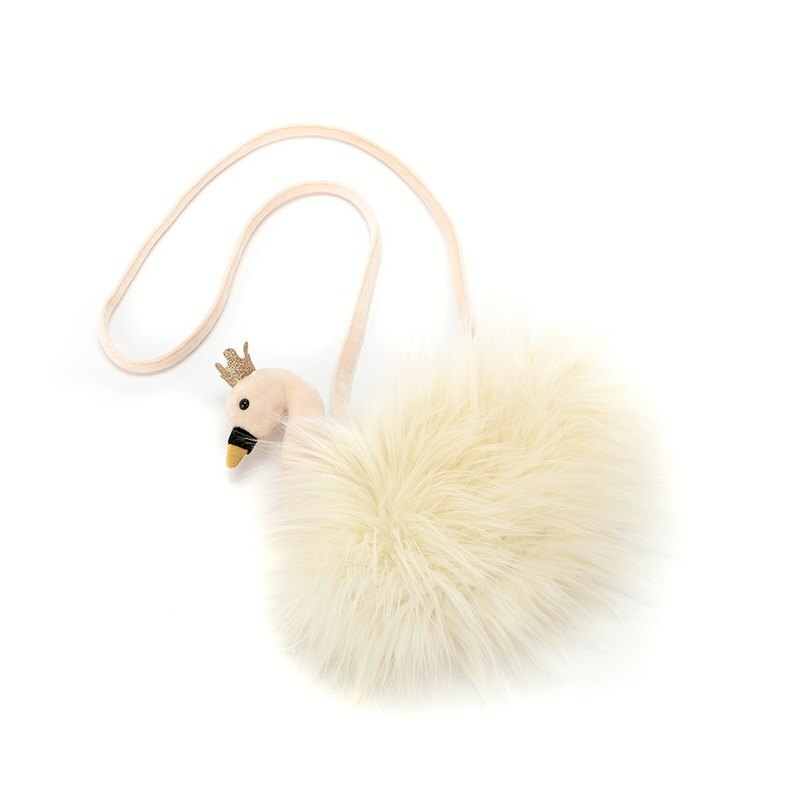 Fun and fabulous in silky vanilla fur, this dreamy swan bag will keep your treasures under its wing. With a sumptuous suedey beak, velveteen neck, golden crown and soft shoulder strap, this swan is simply swell.